Visionaria courses and programs promote a mindset and a skill-set that enables young women to become leaders of their own lives and communities. 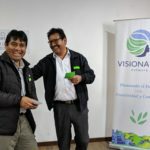 Visionaria Network travels to isolated schools, where teachers are under supported and students are disenfranchised… Here, we discover some of the most inspiring visions and insights for a safer, healthier, and more sustainable future. Visionaria Network is currently competing for bonus prizes as a new partner with Global Giving. + Donate to our campaign in September to engage 88 leaders in 2 new rural schools in Cusco, Peru! Choose Your Donation Amount: $25 - Show us you like our work!$40 - Support 1 participant for one course$100 - Support a 5 participants for one course$7,000 - Sponsor a 10-teacher training program or intensive 25-participant courseChoose your own amount! Visionaria Network is registered 501(c)(3) non-profit organization with the tax identification number (TIN): 81-3835731. All donations are tax deductible as allowed by law. + HOW DO WE SPEND DONATIONS? We train and support teachers with coaching and content to successfully deliver the Visionaria Empowerment Course. We also identify and invite local non-profit leaders, government agencies, and other community leaders to share their challenges with students, and for students to get directly involved with designing a better future. This means we spend our precious funds on materials, content production, and our dedicated local and global professional staff to create unprecedented learning experiences for girls and the communities around them. Visionaria courses are unique for their positive leadership and empowerment lessons, but also, critically, the opportunities they create to practice these new skills through design projects that address health, sanitation, local trade, education, and other opportunities for improvement in an entrepreneurial fashion. Participating students develop socio-emotional and problem-solving skills applicable in their personal and professional lives. These skills and learning outcomes practiced in the Visionaria course activities align with leading educational and professional development standards. 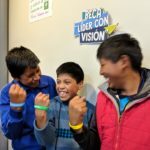 Help us keep proving and improving the Visionaria Model with educators, local leaders, and girl-serving organizations in Cusco and beyond. Curious about our past programs and impacts? Read more. We are an educational non-profit that delivers hands-on learning experiences and a “Visionaria” (female visionary) spirit to young women around the world. 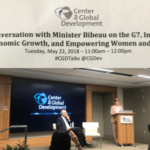 We use a combination of agency-based empowerment, design thinking, and youth-led sustainable development projects that enable young women (& men) to envision and dictate their futures. ¡Celebremos los lunes porque los viernes aún pueden esperar!